What is long range shooting? Honestly, it’s relative to the shooter. Some people may never need or care to shoot past 200 yards. While others may strive to keep an accurate and precise fire at 2,000 yards. In this article, I aim to help you decide which cartridge may be best for you, your wallet, and what you may be able to expect out of these long-range capable cartridges. Let’s look at some of the more popular calibers between gas guns and bolt actions. While this may not be the first cartridge that comes to mind for long range shooting, with an appropriate bullet, the compact .223 Remington, or 5.56 NATO is more than capable of shooting over 500 yards with accuracy. .223 Wylde chambered, 20” barreled rifle. With the popularity of this cartridge due to America’s favorite rifle, the AR15, more and more people are stretching the out its legs. If you would choose to shoot long-range with a .223 Remington, I would highly suggest shooting longer, heavier bullets with a 1:7 rifle twist. To explain the nuances of rifle twist, you can read my previous article about AR-15 Twist Rate! An added benefit with the .223 Remington is cheap, readily available ammo. The .224 Valkyrie was developed with long-range shooting in mind from its inception. It is hard to believe that a .224” caliber bullet with a C.O.A.L. (cartridge over-all length) which fits inside of an AR15 magazine well can be capable of 1,000+ yards. I even had my own doubts because I am a bit of a cynic. Me (left) with Kat Ainsworth at 1,250 yards with the PSA .224 Valkyrie. After reaching out to 1250 yards on a trip to the amazing High Bar Homestead in Gillette, WY, I am now a firm believer in the .224 Valkyrie. It is a screamer, and with velocity comes increased range. 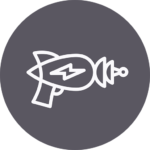 Coupled with bullets that have a high ballistic coefficient, impressive results can be achieved. It also has less wind drift and less bullet drop than the .223 Remington or the 6.5 Grendel. Ammo prices are a bit steeper than the previously mentioned cartridges, but the American Eagle 75-grain TMJs are relatively easy on the wallet. While I was in Wyoming, I was able to test and evaluate the .224 Valkyrie from Palmetto State Armory. 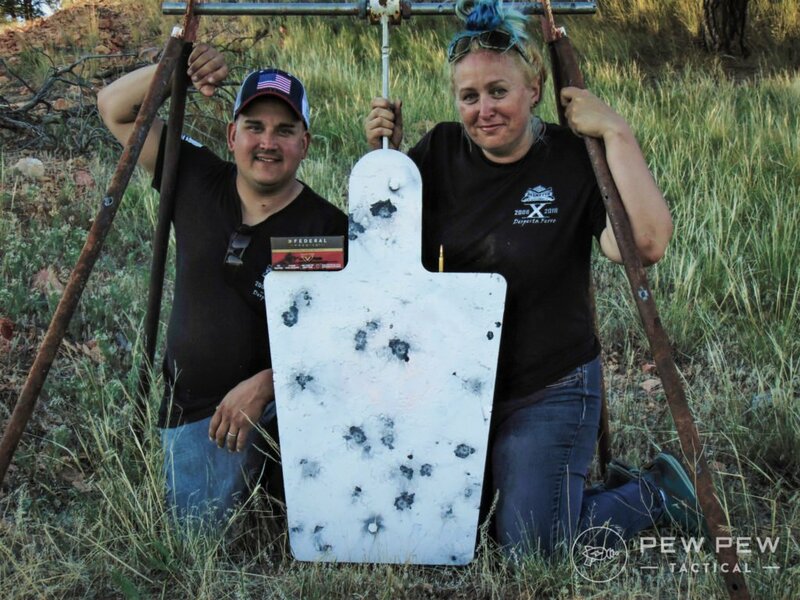 It happened to shoot the Federal Premium 90-grain Sierra Match Kings very well and hitting a steel torso was fairly regular between myself and my shooting buddy, Kat Ainsworth. 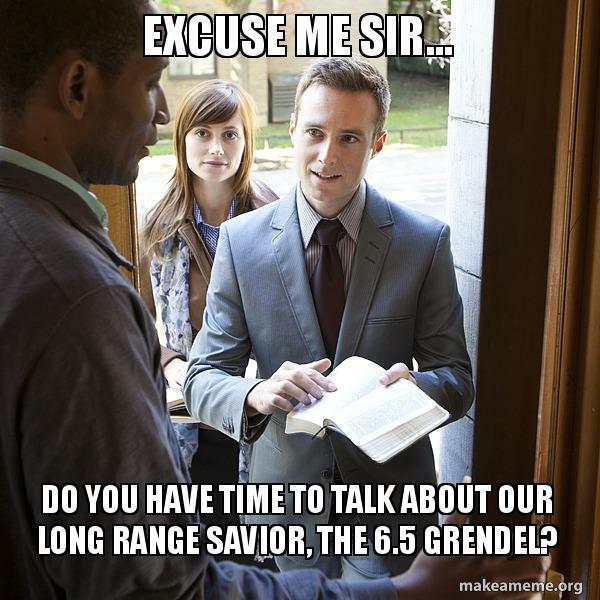 I may be a huge Grendel fanboy. I am no expert, but scholars believe that the 6.5 Grendel was ordained during an ancient ritual in Bill Alexander’s secret Temple of Ballistics. I can not confirm this, but it seems completely legitimate. All kidding aside, the 6.5 Grendel is an amazing cartridge that was originally established in 2003 for the AR15 platform and is now available in bolt action rifles. 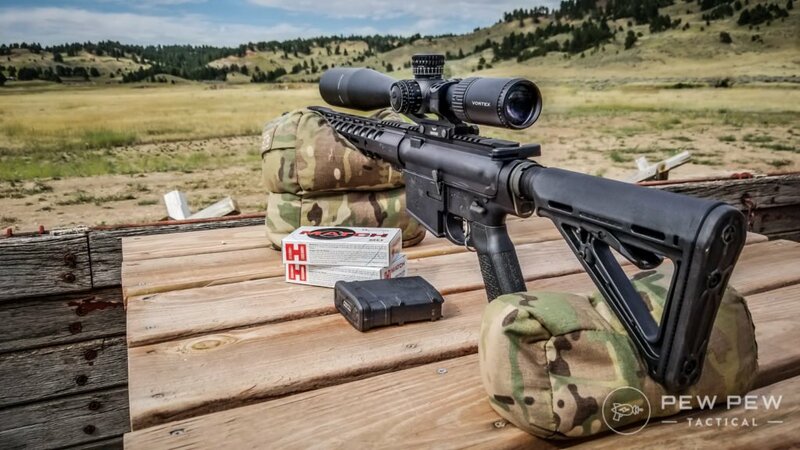 While other cartridges have come out and gained popularity, the 6.5 Grendel still has a permanent place in the conversation when talking about long range shooting. Prices can be high for match grade ammo, but Wolf offers extremely affordable plinking ammo with their 100-grain FMJ steel-case loads. 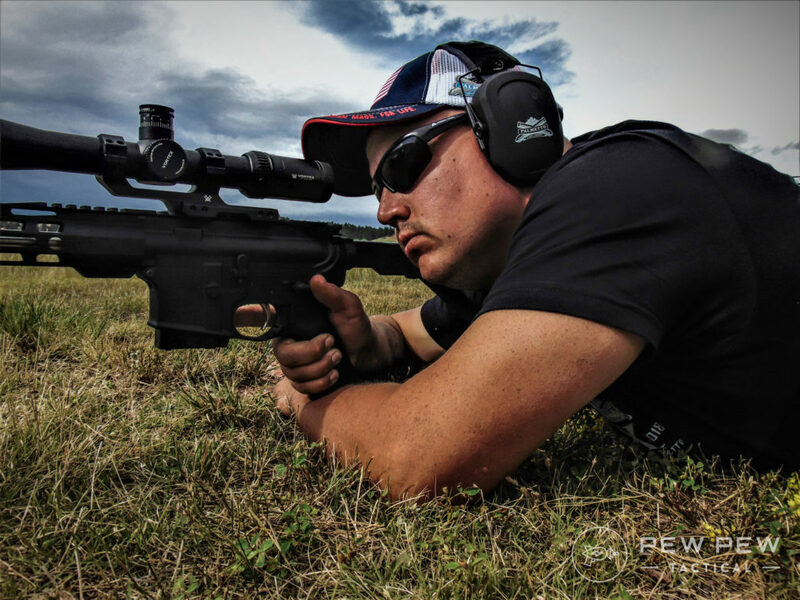 Author shooting the Palmetto State Armory 6.5 Grendel with Federal Premium 130-grain Berger OTM loads. With a growing choice of ammo from 90-130 grain projectiles and the benefit of a great ballistic coefficient with the 6.5mm bullet, 500+ yard shooting can be almost boring. While at the High Bar Homestead with PSA, I was able to evaluate their 6.5 Grendel out to 1,000 yards with Federal Premium 130 grain Bergers. Once dialed in, I was able to put rounds on a steel silhouette regularly. 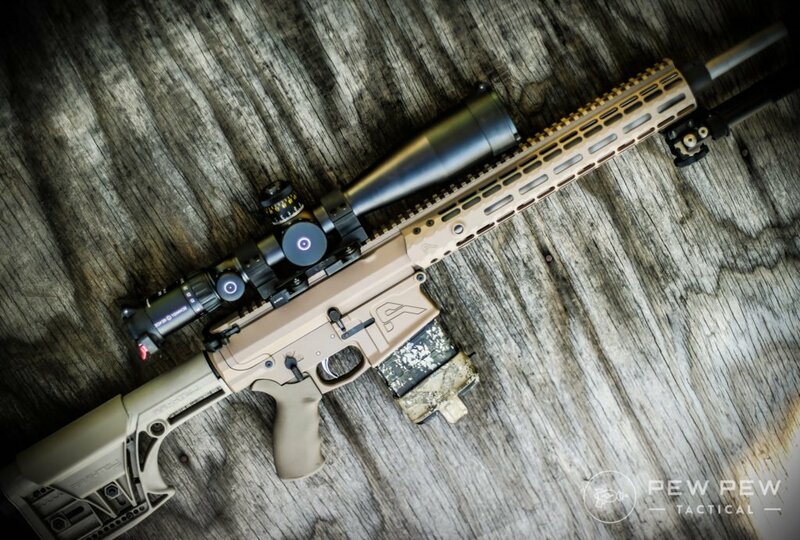 Of course, if you want to know a LOT more about the 6.5 Grendel – you need to read the 6.5 Grendel Shootout! The 6mm Creedmoor has gained a lot of traction with competitive shooters over the last couple of years. It’s parent case, unsurprisingly, is the 6.5 Creedmoor which has an amazing pedigree for long range shooting. 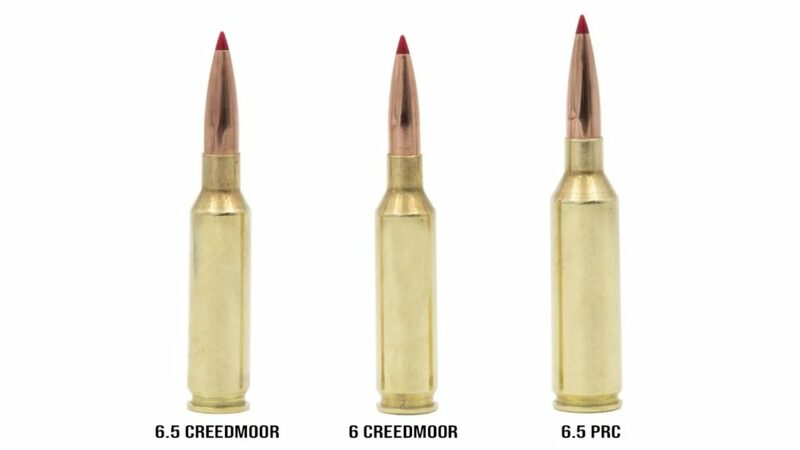 Necking the 6.5 Creedmoor down to 6mm is straightforward and using high ballistic coefficient bullets around 100 grains gives great performance out to 1,000 yards. Ammunition choices have increased lately and Hornady has ammunition with the 87-grain VMAX, and a 103-grain ELD-X for long range hunting. Barnes and Remington also have loads for hunting and long-range precision shooting. None of these choices are necessarily friendly on your wallet, with most loads over $1/round, but the velocity with a lighter grain bullet and the case capacity makes for a great long-range round. Bucking the wind, though, is not in its favor compared to its bigger brother, the 6.5 Creedmoor. Availability is not great either, so online buying or reloading may be the best option for this cartridge. While ammo might not be cheap, 6mm rifles seem to be dropping in price – I’ve seen Ruger Precision Rifles in 6mm Creedmoor going for crazy good prices lately. Developed in 2007 by Hornady, the 6.5 Creedmoor has a parent case with the .30 TC, which was originally based on the .308 Winchester. 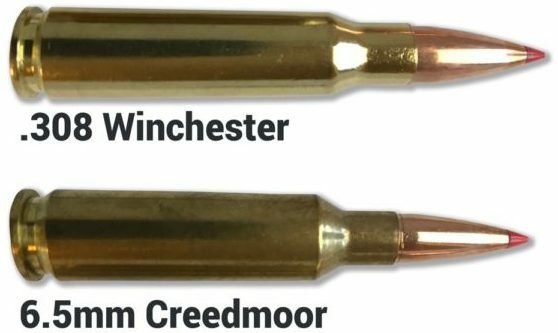 Where the .308 Winchester comes up short, the 6.5 Creedmoor turns on the afterburners largely because of the 6.5mm bullet’s excellent sectional density and ballistic coefficient. For many, this is a round that you hate to love. I understand why some hate the round, and it’s largely the .308 Winchester fanboys. It honestly feels like cheating behind a quality 6.5 Creedmoor. The 6.5 CM is superior to the .308 Win in just about any practical sense of the matter with better range, less effect with wind, and less bullet drop. 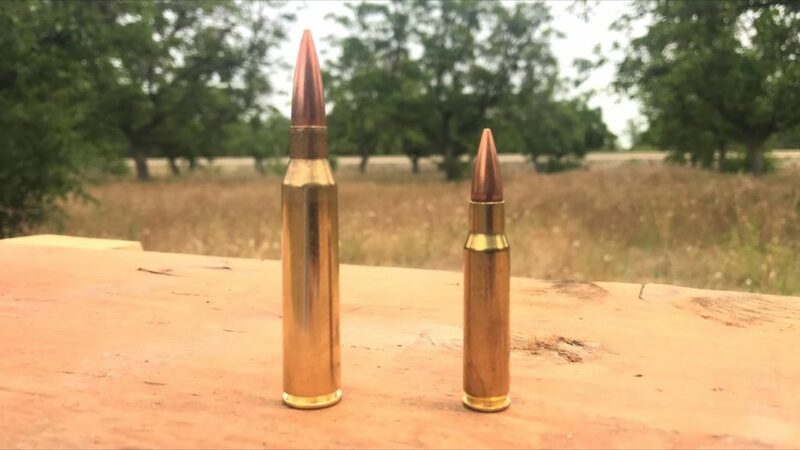 While they are relatively close within 500 yards, at 1,000 yards the .308 Winchester has 4 feet more drop when you compare a 6.5 CM 140-grain ELD vs. a .308 Win 168-grain ELD. This is largely because the .308 Winchester is a heavier, slower bullet. Even with kinetic energy factored in, after 500 yards the 6.5 CM pulls away as the leader due to its retained velocity. Ammo availability has gotten much larger for the 6.5 Creedmoor as well, and can even be picked up locally at your neighborhood Wal-Mart. While there isn’t much of a cheap alternative for 6.5 CM ammunition, Lucky Gunner lists S&B 140-grain FMJs for $0.78/round. A personal favorite of mine is the Federal Premium 130-grain Bergers, which at the time of this writing costs $1.50/round. 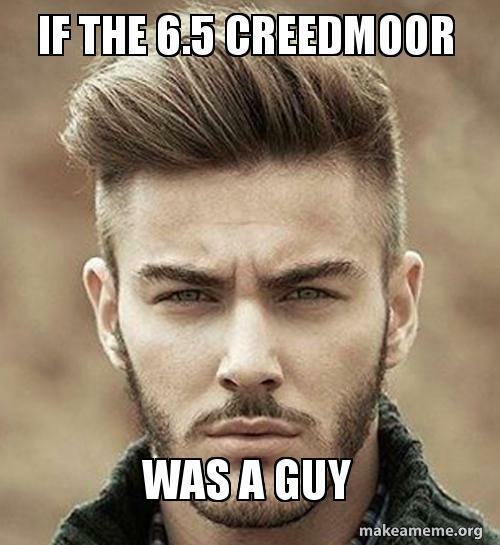 What’s your take on the 6.5 Creedmoor? .308 Winchester has been around for almost 70 years now and has served militaries and police forces around the world as faithfully as it has served competition shooters. While there are newer cartridges around, many of them are derived from the .308 and all of them are measured against it. 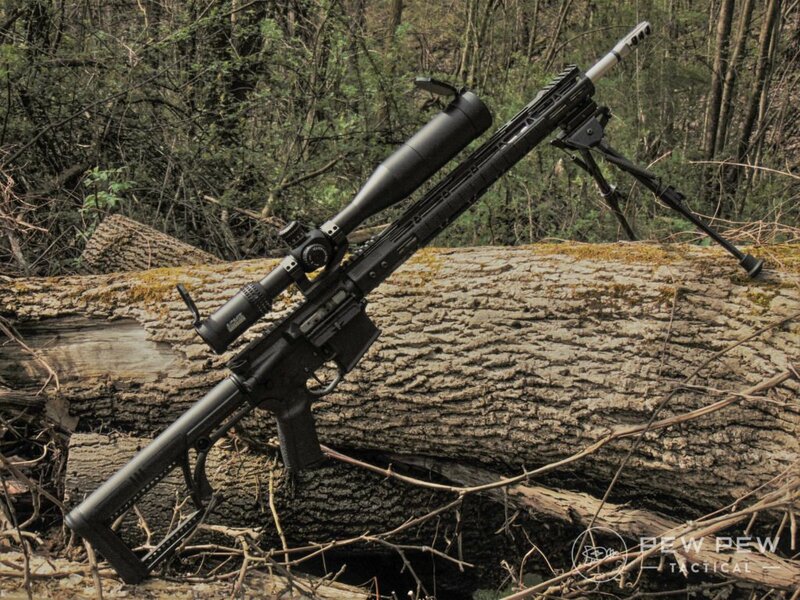 .416 Barret while a very new cartridge compared to most is currently the ultimate boss king of extreme long range shooting – the Team Global Precision Group not long ago used the .416 Barrett to ring steel at a mind-blowing 6,012 yards (3.4 miles, 5497 meters, 18,036 feet). If you took the Statue of Liberty and laid it down, that’s almost 20 Statues of Liberty long. That’s a lot of FREEDOM. .300 Winchester Magnum is a favorite of hunters around the world for big game at long range. Need to drop an Elk at 500 yards? .300 Win Mag is your ticket. While still a great long-range precision shooting cartridge, it is starting to lose ground to newer and softer shooting cartridges. Like Alice in Wonderland, you can go down a very deep rabbit hole of different calibers and cartridges for long range shooting. Covering all of them would practically be a novel, so I am going to stop short here. Depending on your personal budget, and what kind of rifle you want, the sky is the limit. Cartridges like the .338 Lapua Magnum, .375 Cheytac, and .50 BMG have shown incredible performance down range. Price ranges a lot for rifles, and feeding them is a whole different story, even if you reload. If you take a left turn, you can go through an endless list of wildcats. What are some of your favorite long-range cartridges? Let us know in the comments below! And to reach out that far…you’ll need some great glass. Here’s our Best Long Range Scopes. Ken Whitmore is a husband, father of two, and prior service United States Marine. He lives in Western Pennsylvania where he has enjoyed the outdoors, hunting, and shooting for the past 20 years. I always favored the .264 Win Mag. A great flat shooter. I guess because it was my dad’s and the first long distance rifle I was taught with. It’s a pre-64 and well it’s not used much now. It will be passed down to my son and so forth. Although it will always be there and ready if the need arises. Oh, I also on a 300 Win Mag too, just in case I get lucky enough to go elk hunting. To build off of the PSA .224 Valkyrie Upper you recommended is there any other changes needed to a standard AR-15 lower assembly? In other words, can I just remove my .223 Wylde/5.56 NATO223 upper assy and install the PSA .224 Valkyrie upper? Yes, you can. .224 Valk just needs a new barrel and a new bolt. The only thing about the lower would be magazines, .224 Valk uses 6.8 SPC mags. You sure can. It’s a quick and easy swap. All you need is a magazine for the .224 round and the 6.8 SPC mags do a very good job. I wish there was more talk around 308 since you’ve established it as the baseline by which all long range cartridges are judged. With new( in the works)bullet designs the .308 surpasses the .300 win mag and is closing in on 6.5 ! Reloaders take notice don’t give up on the .308 yet good things to come. You would be surprised at what my .25-06 Rem will do.